November 15th, 2015| Written by: Editor; Photographs from various Facebook sources. The Brusly 8, Central Wildcat and Cinco Ranch Big 12 results are on TrackWrestling, whereas the Mandeville Open results are not available on-line (aside from here, of course, at the moment at least). Notes of interest re those events may be found below the Mandeville Open summary. The 126 lbs. finals pitted 2015 Division I runners-up Joseph Dupree of Jesuit and Beau Bush of Holy Cross, both of whom were unbeaten upon entering the event. Bush caught Dupre in the first round with a 360-double-leg takedown, but after that the senior Blue Jay dominated the match in a 19-9 win. Earlier, in the semifinals at 132 lbs., previously unbeaten Eli Larriviere lost a controversial Sudden Victory match 10-8 to Brother Martin's Seth Gambill. Larriviere's woes continued as he lost his next match to Ehret's Joseph Davis-Lucas in another Sudden Victory period. Gambill went on to win the weight class. Holy Cross' Joey Foret came very close to blemishing his undefeated record twice. In the semifinals he was behind Shaw's Division II runner-up Brad Albarado for much of the match, but was strong in the third period and escaped with a one point victory. In the finals, Jesuit's Griffin Mason stayed even with the Tiger throughout the match until the last minute when Foret took control. 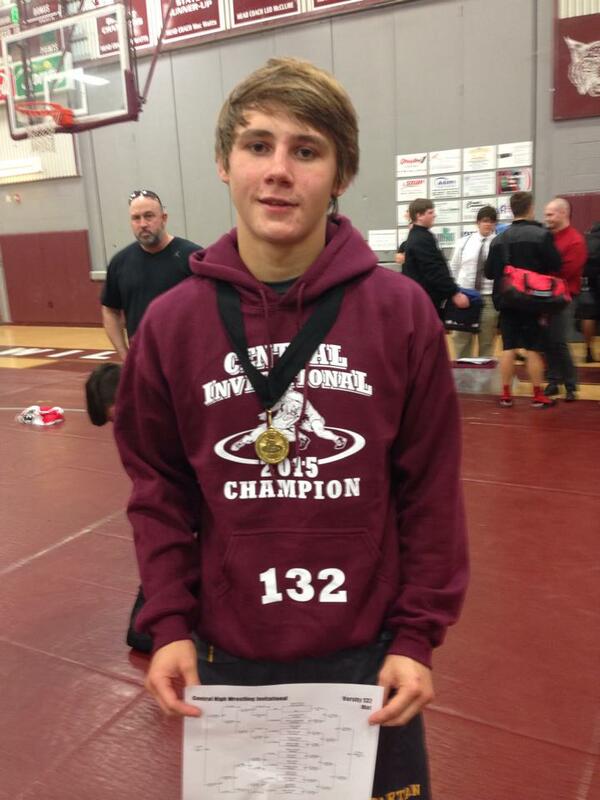 Holy Cross' Jake Rando was voted the Outstanding Wrestler of the event. 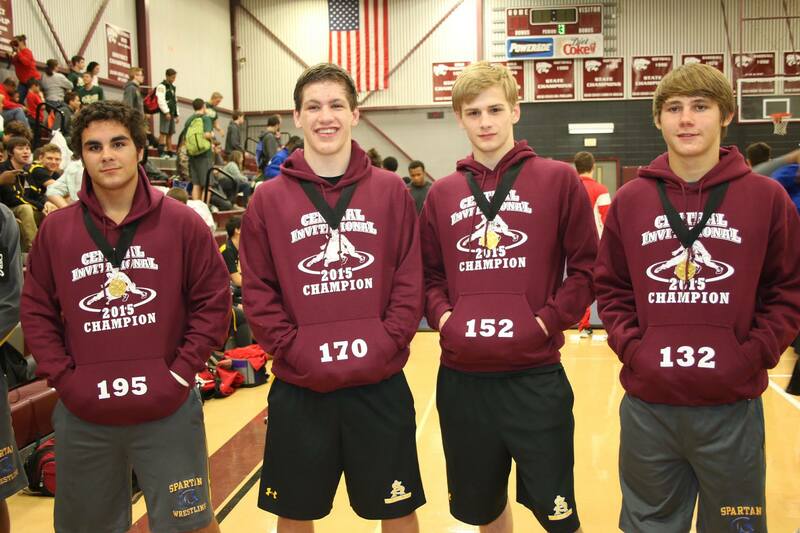 * In compiling placers only the highest placer of each team in each weight class was counted. 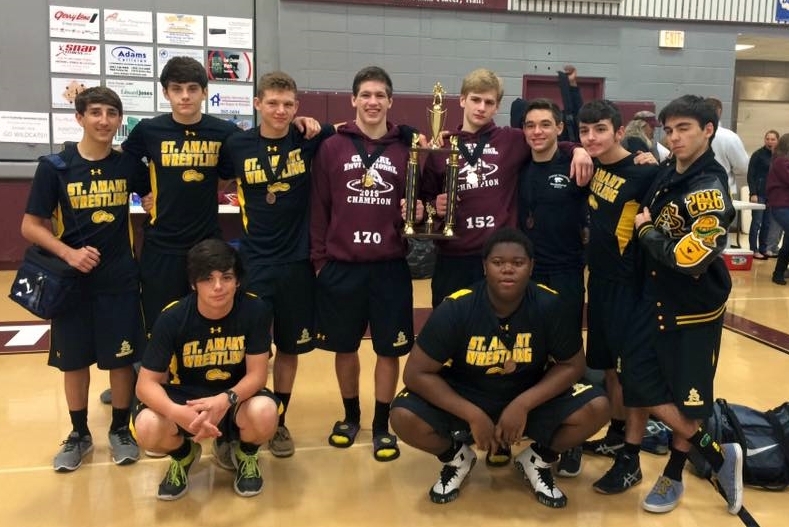 With only 10 wrestlers the St. Amant Gators beat out 23 other varsity teams to win the Central Wildcat Open. 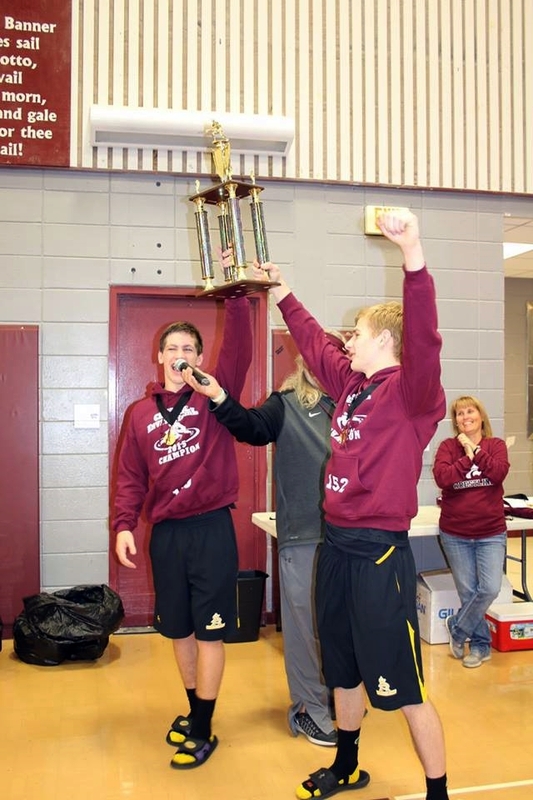 Clint Brownell and Sage Nugent won championships for the second consecutive week as the Gators scored 136 points, 6.5 ahead of runner-up Fontainebleau. St. Amant won the Wildcat Open with only 10 entrants Gator champions Brownell and Nugent with the team trophy Basile champions Gavin Christ and Brennan Langley Ascension Parish Wildcat champions Chris Roux (EA), Sage Nugent (StA), Clint Brownell (StA) and Landon Wheat (EA)(missing: Dutchtown's Luther Jones ) Dylan Sweeney of Belle Chasse garnered the Outstanding Wrestler award by winning the 220 lbs. title. Celebrating his 18th (according to his mother's Facebook page) or 25th (according to his Facebook page) birthday, East Ascension's Landon Wheat reached the finals with Major Decisions of 17-8 and 12-4 before being tested by Central's Tyler Fontenot in the finals, a match Wheat won by a 10-8 score. 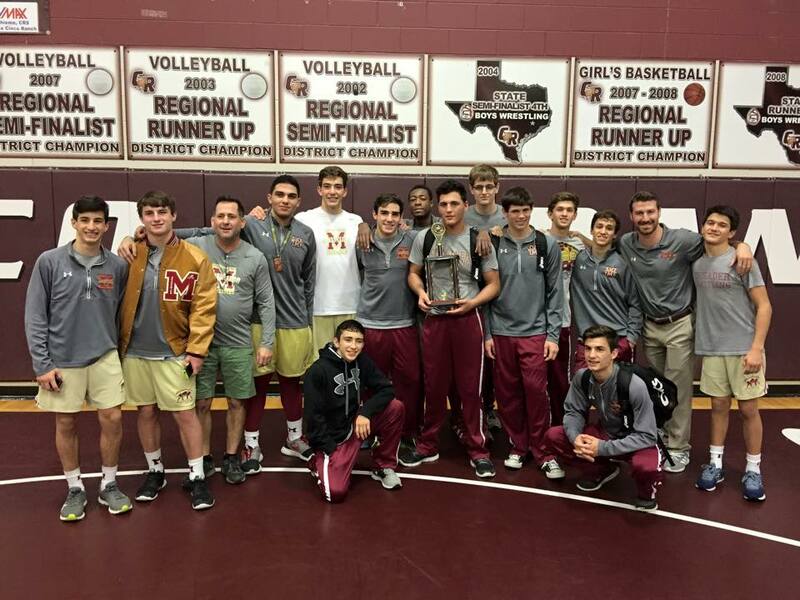 The Brother Martin Crusaders won another Cinco Ranch Big 12 tournament in Katy, Texas, this time by 134 points over Katy, TX and 134.5 over host school Cinco Ranch, TX. The Crusaders had six champions and, including four in a row to start the finals. Last season the Crusaders scored 124.5 points more than their closest competitor. 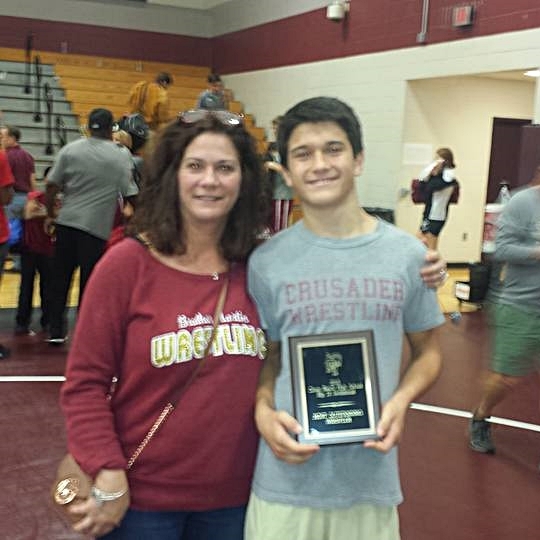 Sophomore Luke Cotton (chaperoned right), at 113 lbs., was voted the tournament's Outstanding Wrestler with fall in 0:21 and 0:24 followed by a 7-5 Sudden Victory semifinals win and an 11-4 finals victory. It is unknown where Taylor Gambill, the 2014 Division I runner-up and 2015 Division I third-place finisher, will be in the line-up as the season progresses. 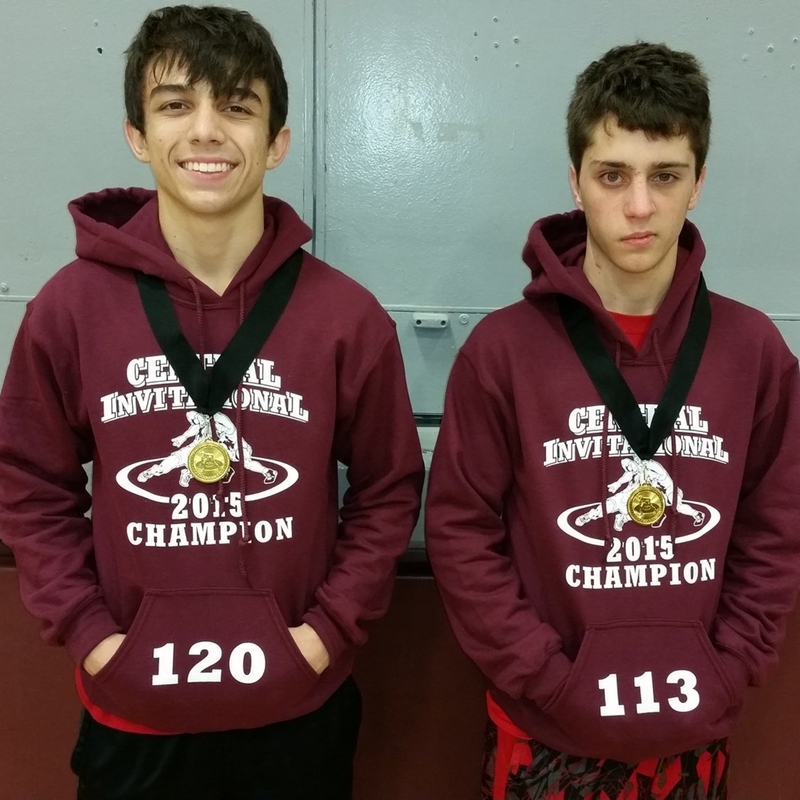 Assuming he competes this season, the editor surmises that it will be either at 132 lbs. or 138 lbs., allowing for a little growth since last season as well as the stellar lineup the Crusaders have from 106 lbs. to 126 lbs.